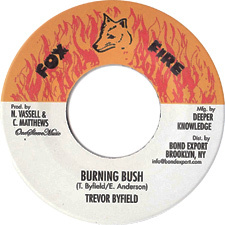 Deeper Knowledge/Digikiller records have just re-issued the first four of a promised eight 7″ singles on the Fire Fox imprint, two from Trevor Byfield and two from Clive Matthews. Dating back to the late 70’s and early 80’s and produced by Norman “Fox Fire” Vassell and Clinton “Percival” Williams there are some seriously in-demand roots tunes here. 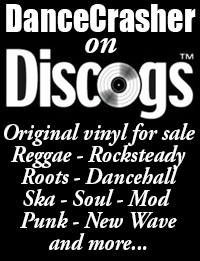 Once again the DKR crew prove they are the premier outfit for 70’s and 80’s vinyl reissues, it’s a shame they don’t release some of this stuff on CD for those who haven’t discovered the joys of vinyl yet. Reissued here on the same label as the original release first issued circa 1978. Originally issued on the Mistic label this is a very in-demand tune, the reissue will be welcome for those who can’t pay ebay prices. Oh – and don’t forget to check the dub! On the same rhythm as Tell Me That You Love Me and originally issued on the Percival label. 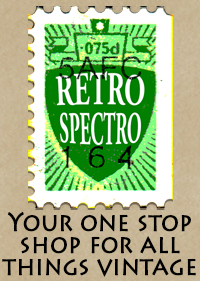 This was originally issued on the Fire Fox label but with a plainer “checker” stock label. This was also re-issued on a 7″ by Rootical Dubber around the year 2000.